Rockabill Seafood is committed to research, development and innovation of our range, adding value and service to our clients. That is why our business invests heavily in the best staff, latest technology and sciences in food processing and servicing. Over a number of years we have invested time and capital into adding value to products and bringing something new to different markets around the world. We work hand in hand with our customers and end users. 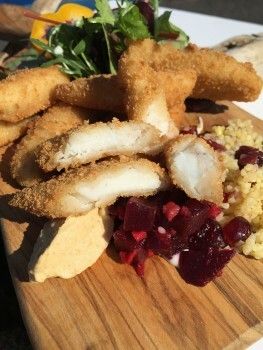 We have developed a number of “added value products” such as our “Crispy Coated Monk & Hake Goujons” Succulent pieces of natural hand filleted Irish fish lovingly enrobed in a luxurious golden crumb, creating a ravishing full fillet centre, guaranteeing a unique explosion of flavour with every bite”. All packs can be sold in both FRESH & FROZEN aisles. 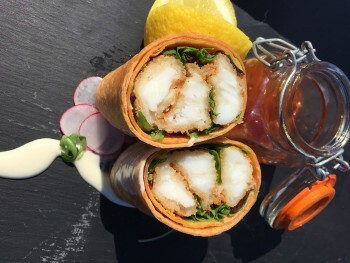 We have our own “Taste of the Sea” brand but can also produce for “Own Brand” retailers. The Skin Packs can have a Label or Sleeve Option. We are always looking at new and innovative ideas to add value to our products and can offer all the packaged products with different sauces, marinades and flavoured butters. We work openly with all our customers to find new and inspirational ways to bring more seafood to the table. Our goal is to make it easy for you and the consumer to enjoy our so healthy and natural product. All dishes in our fresh fillet range are sealed for freshness and only require a few seconds of preparation at home – 100% natural, no artificial colours, additives or flavours!